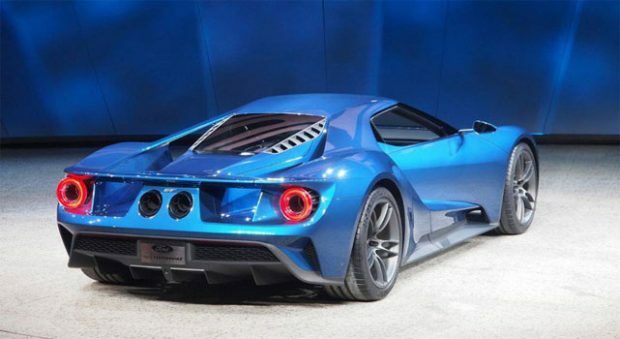 For those lucky enough to have secured one of the new 2017 Ford GT supercars, there is now a mode which can jettison the vehicle to a top speed of 216mph. The $400,000 car which started to ship last December, has five driving modes. With the turn of a dial you can change aspects of the engine, aerodynamics, stability control, shift characteristics and ride height. The five driving modes include normal, wet, sport, track and the top setting of V-Max. ‘Ultimately, V-Max mode is designed with a single objective — for the GT to achieve its fastest possible straight-line speed,’ said Nick Terzes, Ford GT engineering supervisor. V-Max mode which stands for ‘maximum velocity’ is designed to send the Ford GT to its top speed of 216 mph. V-Max and track mode require the cars transmission to be in Park, with the stability controls remaining active. Next Story → The 2017 Ford Torino Will It Happen?